Very excited to be back on the Scarab 16. I built a plug for the beams using MDF and plywood. It was primed and painted with Jotun Imperite (leftover paint from the Scarab 3 metre). A mould was made from the plug using tooling gel, polyester resin and glass. A layer of chopped strand mat was layed in the mould before the other layers of glass were applied. This gives a smooth surface and the beam will be ready to paint. 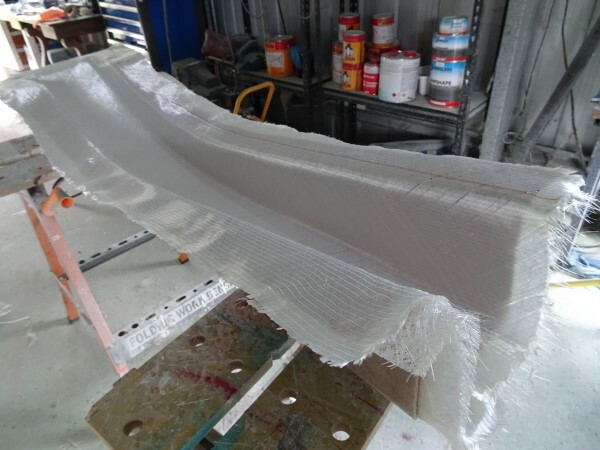 The beams for the Scarab 3m trimaran were made from a tooling gel and polyester resin mould over a plywood plug. 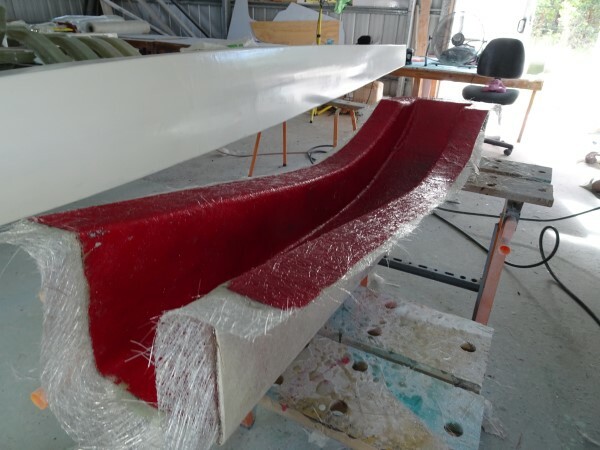 The beams were then laminated and painted. 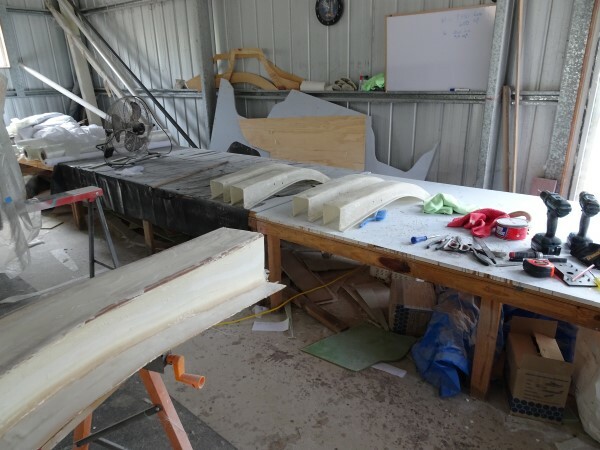 A partially finished plug for the Scarab 16 beams is in the foreground. It's been a toss up what to call the new moulded 10 footer. Now it will be called Scarab 3 metre to link it to the other Scarabs. Eventhough it is the same size as the Scarab 10, it will be slightly different. It has a rounded bilge with the deck smaller to allow the mast to be stepped on the floor. This will make it easier to rig. 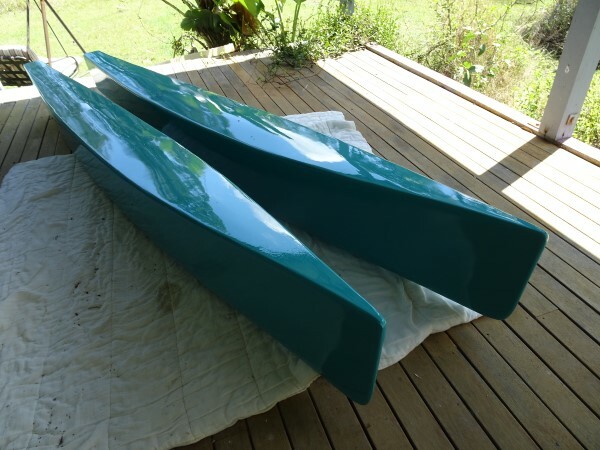 The folding beams are similar to the Scarab 18 and Scarab 650 (instead of sliding tubes) allowing the boat to fold. The foam protoype is finished except for paint and rigging. 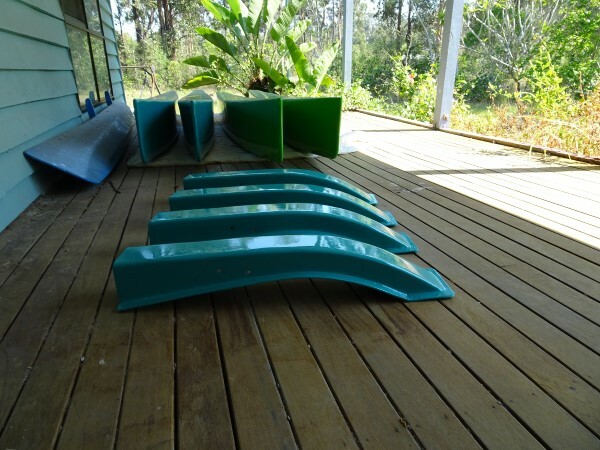 Here is a picture of the floats and I will post the pictures of the main hull when it is painted. 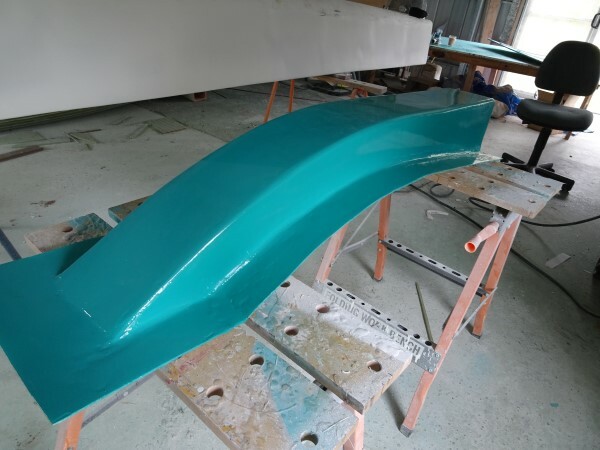 After working on the Scarab 10 built in foam and polyester resin I thought of a few improvements to the boat. I am now building a foam prototype of this design that will be moulded in polyester.